Democracy is important, fascism is bad, and liberalization of the economy leads to prosperity for everybody. These are phrases that are heard often and seldom challenged because, why would they be challenged? Who is against the majority of people choosing what they want their society to be like? Who thinks that nationalistic authoritarianism is virtuous in itself? More importantly for the relevant topic, who would be against a liberal economy or liberalism in general? Who would prefer to have ‘authoritarian economics’? There are certainly good examples of authoritarian governments all over the world, places as diverse as North Korea and Saudi Arabia are perfect examples of authoritarianism and illiberalism. All these phrases, so far, only causes a person to nod in agreement, as it requires no amount of mental effort to see that they are true. What I would like to suggest, however, is that although there are such truisms that can be found in political discourse everywhere, one should be rather cautious when listening to any word in political discourse and take it as a given. Putting ‘democracy’ and ‘fascism’ aside – these are matters for some other time – one good word to pause on is the word ‘liberal’. In the current American framework, a liberal is person who is progressive on civil liberties but wants growth and control in many matters concerning markets. However, we need not look far in history to find a particular Republican president, namely, Dwight D. Eisenhower enact liberal laws that even Bernie Sanders would agree with. After all, having a 90% income tax over a certain amount of additional earnings or using the government to fund one of the most ambitious infrastructure projects in modern history doesn’t look or sound very conservative if today’s political landscape is taken into account. Noting that political terms change over time isn’t particularly surprising, but once we move into much more recent history, we find a liberal president choosing to loosen restrictions on trade agreements as was the case with Bill Clinton and NAFTA. Surely it doesn’t make much sense to label someone a ‘liberal’ if in a span of fifty years we have one conservative president do a ‘liberal’ thing, using the government to create a highway system and then have another president, (this one explicitly called a ‘liberal’) do something which is in American principle very illiberal, that is, loosening restrictions on trade. The word ‘liberal’ then, is suspect. Things become all the more complicated if we leave the somewhat isolated US political scene and move towards Europe, where the word ‘liberal’ is often quite synonymous with ‘libertarian’: wanting civil and market freedoms, or at least this is the case in the UK, Spain and a few other countries. How is it possible for a word signaling a political affiliation, mean so many different things at the same time? How can a person be for civil liberties and market freedoms in one part of the world, mean to another person in another part of the world civil liberties and market limitations? Making matters more complicated, words such as ‘liberal’, ‘revolutionary’ or ‘socialist’ practically have no meaning in the Dominican Republic. Perhaps one could look at, for example, John Locke, (one of the fathers of modern liberalism) for some clarifications, but then again, the problems John Locke was facing are not the same problems we are facing, so importing a term from history to contemporary society would only confuse matters even more. While one can debate the merits and demerits of how fast society should develop, it’s hard to imagine someone actively defending statements to the effect that “trade should be forced”, “government murder is morally justified” or “some people’s votes should count more than others” as all these statements restrict rights, freedoms and even insult innate rationality. Of course, trade should be free, governments do not have a pass to murder willy-nilly and all people’s votes should be equal. The point is that these phrases would not garner much support from the general population. Likewise, one can think that the way to improve society is to let it change slowly and naturally in accordance to people’s views of the general societal picture. As we’ve seen, even conservatives can be liberals – it only depends what aspect of society one thinks deserves more openness that others. As with the word ‘liberal’ we can apply similar standards to all words of political discourse, and when stated in an appropriate context, most people would not disagree with the use of the word. Even the most hardened US liberal would not want government to take one hundred percent of one’s income, and only the most extreme conservative would think that getting rid of the police force in contemporary society is a good idea. The point is, when a politician or a CEO is using these words that sound good like ‘democracy’, ‘human rights’ or ‘[enter countries’ name] values’, it quite usually means something quite different from the ideas these words tend to elicit in our minds. And when we listen to such speeches, as they are our daily bread and butter, we should be attentive to what the person is actually intending these words to mean, because otherwise, words would begin to lose all their meanings, as George Orwell so keenly predicted in his 1984. If we ever find ourselves using words such as ‘liberal’ without any further context, then we are only a step away from tuning off from thinking all-together and being ‘thoughtless’ is not part of the definition of the word ‘liberal’, nor should it be the definition of any political current. 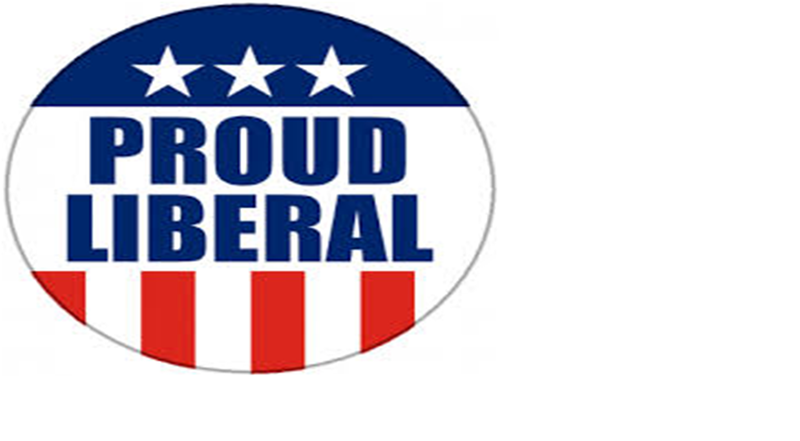 Whatever else the term ‘liberal’ may mean, we should not be so liberal as to render it meaningless.